Part of Guidance College’s Associates, Bachelors, and Master’s Curriculum includes ASL 101. Students can study ASL 101 in an online format per semester [4 months]Students who participate in the Learning Abroad Winter Program December 2018-January 2019 will obtain the same knowledge while experiencing a culturally enriching experience. The cost is per 3-credit hours. All course materials and textbooks are inclusive in the learning abroad program. Airfare NOT included. Learning a language does not just happen in a classroom setting. Learning a language requires engaging native speakers, listening to the variance in tone and dialect. The Learning Abroad Program is crafted so that students are learning in a cross-cultural environment. Classroom work is just one part of the experience. 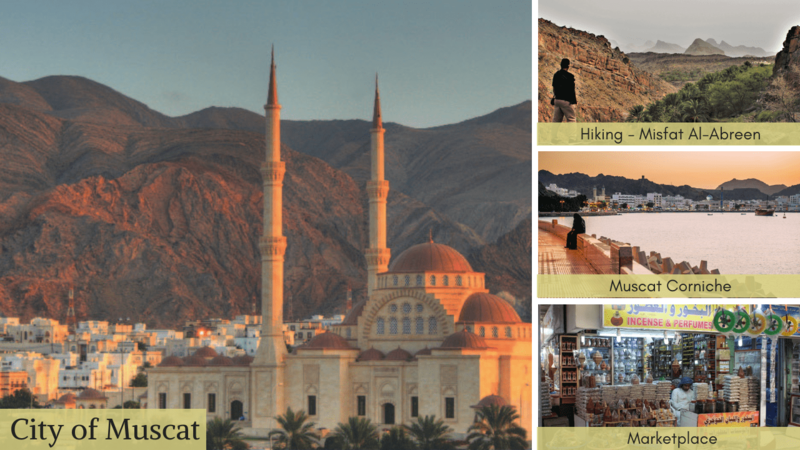 As students explore Muscat and the surrounding area, they will speak Arabic with local shopkeepers and friendly Omani under the guidance of their teachers and local Arabic speaking partners. They will use skills learned in the classroom to read menus, road signs, and merchandise. Day trips, overnight excursions, and cultural experiences are all designed to engage the students and build confidence while enjoying the sites, meeting new people and making life-long friends.